Tanzania is a country in East Africa. Total Area of Tanzania is 945,203 km2. In This country lives around 43 million people. The biggest city Dar es Salaam but capitol city is Dodoma. In Tanzania to register domain name You need to have a local company. Registration take time, 14 days. Domain names must contain only 1 character with limit – 63 characters. 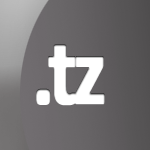 In Tanzania You can register unlimited amount of domains.